Thermal mosquito foggers are known for their high performance and long term effect when it comes to combating mosquitoes and other pests. 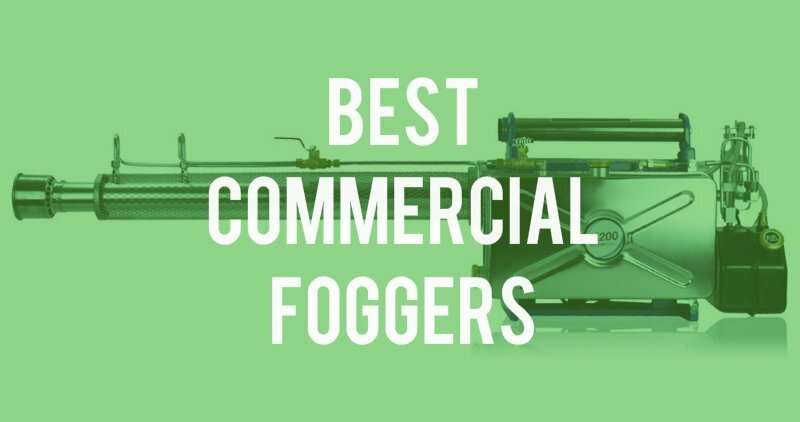 In this article we have compared 6 of the best thermal commercial foggers that you can currently buy. This is great fogger if you need to disperse everything from insecticides to deodorants, because this commercial mosquito fogger is able to dispers water and oil based solutions in up to 10.5 gallons per hour capacity. That is possible thanks to the 5 to 30 micron droplet size capability of the fogger that allows you to variate how thick or thin your emitted fog will be and how much of the solution, that is poured in the formulation tank, the fogger will actually output. Speaking about tanks, the formulation tank of this particular VectorFog fogger is in 1.18 gallon capacity. 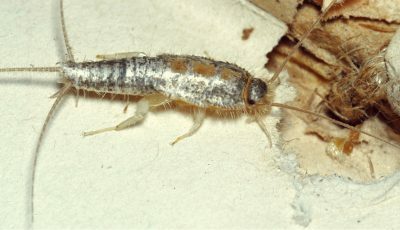 Along with that this insect fogger has 0.3 gallon (1.2 liter) fuel tank which consumes these 0.3 gallons in about one hour time period, so by using this fogger you will have to refill it each hour, which might be an inconvenience for some. 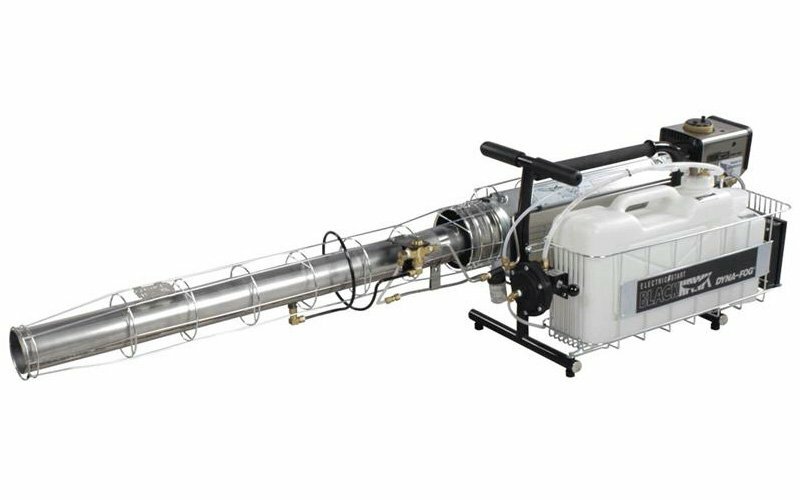 This fogger is suited to use in many different outdoors and indoors areas from your house, to greenhouses to backyards and even bigger fields, because it is able to spray oil based solution in 50 to 65 feet distance, but water based solutions in around 26 feet distances. And the stainless steel construction ensures that you can use even more corrosive liquids with this fogger, and they won’t damage it like they could damage a fogger with a plastic formulation tank for example. Simply switch between different solution types by just turning the valve, pour in the solution and fuel, start up the fogger and fog your designated area with thick, white fog. The fogger is compact in size and fairly lightweight. Fuel tank hold only 0.3 gallons which the fogger uses up in one hour, which can be inconvenient, too. Another fogger that allows you to use both water and oil based solutions with it, but that is slightly bigger and slightly more capable than its smaller edition is this fogger called VectorFog H200SF. 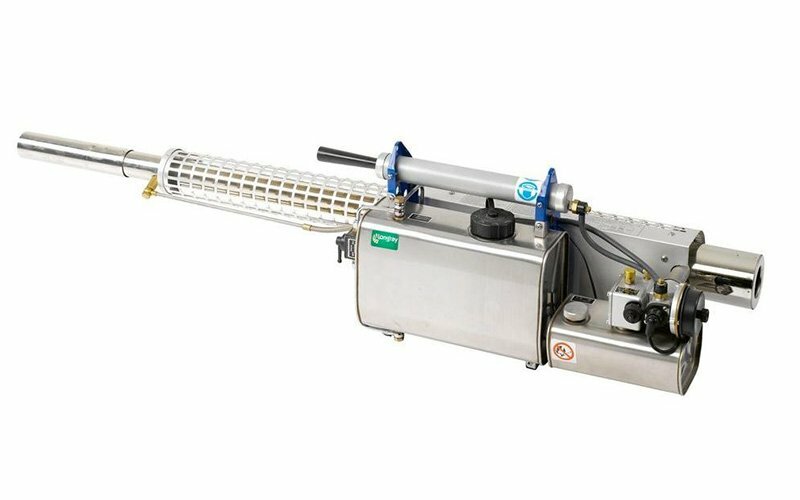 This one, too, is produced from the SF series, meaning that it has dual-point inlet technology that allows you to switch between using oil or water based insecticides, pesticides, biocides, fungicides and other similar solutions. Because this particular commercial mosquito fogger has 1.71 gallon formulation tank with up to 13.2 gallon solution output per hour, it will be easy to use this fogger even for fogging larger areas like warehouses, parks and farms. Unfortunately, this fogger has only 0.3 gallon (1.2 liter) fuel tank and since the VectorFog fogger consumes 0.3 gallons of fuel per hour, you will have to refill it if you want to fog with it for longer than one hour. The great news though is that the fogger will spray oil based solutions as far as 65 to 82 feet and water based solutions as far as 29 feet, which will make it even easier to fog large areas in fairly short time. And you won’t even get tired while doing it because the fogger weights only about 23.8 lbs. that are supported by a shoulder strap to distribute the weight better. So with this mosquito fogger, too, all you need to do is fill it up, turn it on and fog until the fuel of formulation tank is empty, whichever comes first. Is able to emit up to 13.2 gallons of solution turned into fog each hour. The fogger is a bit heavier and bigger so might be harder to maneuver while fogging. If you are looking for a fairly reasonably priced insect fogger that will provide all the benefits of a thermal fogger and will have a few additional features that will make working with this fogger even easier then you defiantly should look towards this Longray TS-35A model fogger. With this commercial mosquito fogger you will be able to use both oil and water based chemicals, which enables you to choose what type of products you want to work with. The fogger is able to dispense up to 11.9 gallons of different solutions per hour meaning that you will get a powerful spray and will be able to fog a large area in not that long of a time. 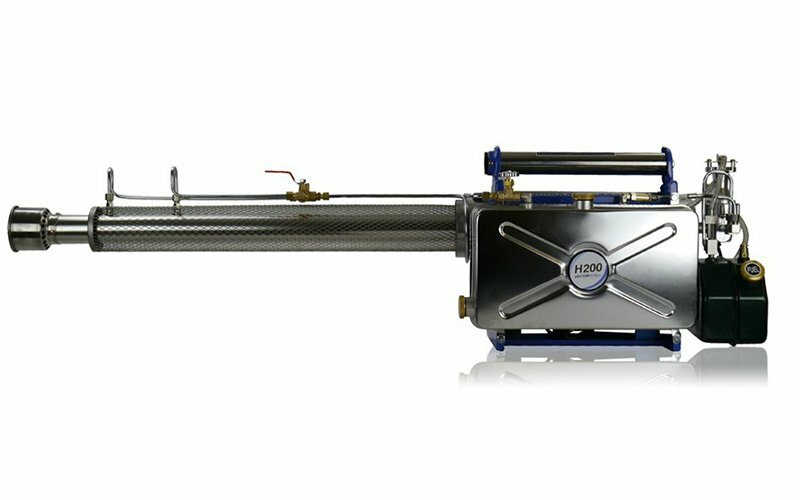 The stainless steel construction provides durability to the fogger and ability for you to use even more corrosive solution with this fogger. The multiple exchangeable nozzles makes sure you can get as accurate of a fog output for your particular chemical or application as you need. And the advanced cooling system that is installed into this fogger will make sure that the fogger is cool and ready to be used at all times. The downside of this fogger is that the formulation tank for this fogger can hold only about 1.58 gallons of liquid which compared to come other heavy duty foggers is not that much, so if you fog on the highest settings you will have to refill the formulation tank ever so often. However, that is balanced out by the 0.5 gallon fuel tank which you will have to refill only about once in an hour, because the maximum fuel consumption for this fogger is 0.5 gallons in an hour. So you can still efficiently fog any outdoors area that needs ridding of mosquitoes, pests, fungus or any other similar problem. Comes equipped with advanced cooling system that will keep the fogger cool even after you have fogging for a while with it. Outdoors only use limits you as to where you can use this fogger. 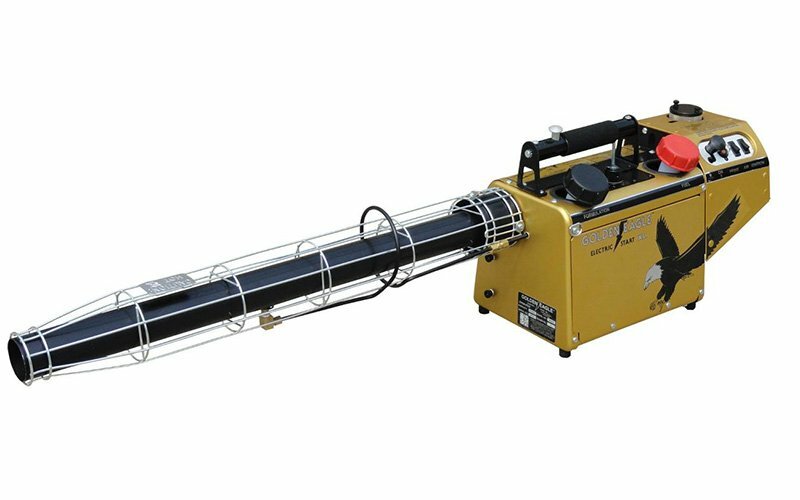 A fogger that is a bit more expensive therefore is larger in size and more capable for fogging really large areas is this Golden Eagle thermal fogger from Curtis Dyna-Fog. 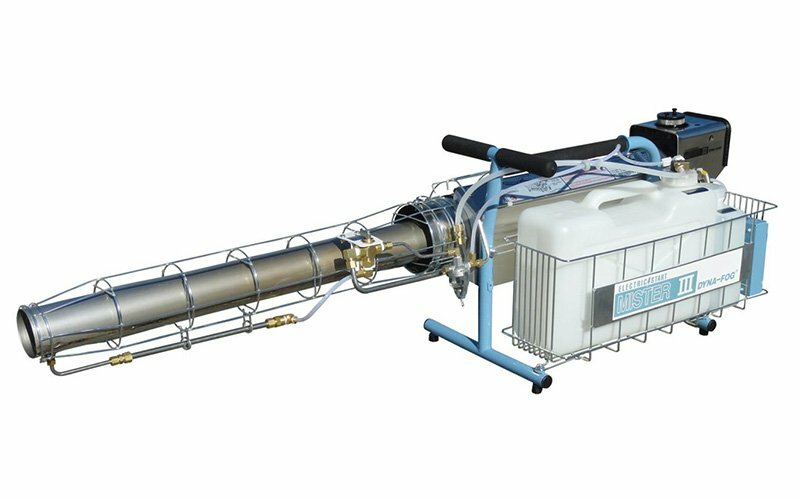 This fogger can hold as much as 1.1 gallons of any oil based solution and disperse it in the rate of up to 9 gallons per hour meaning that this fogger will allow you to cover large areas with thick, white fog quickly, and the fog will let you get rid of things like mosquitoes, flies and other insects. One of the best parts about this particular fogger is that it can be used indoors and outdoors. 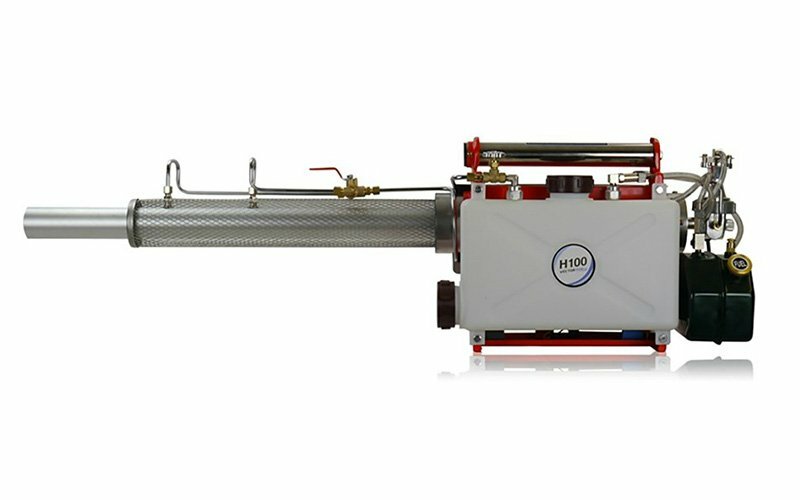 Most thermal foggers are made strictly for outdoors use, but this one, with its wide variety of fog particle sizes and formulation output capacities lets you tailor the fog to be more or less dense, giving you the option to fog big open spaces like backyards, campgrounds and so on as well as smaller spaces like rooms in houses or apartments. Additionally this fogger has 0.2 gallon fuel tank with maximum fuel consumption of 0.5 gallons per hour, so you will have to refill the fuel tank if you want to use the commercial mosquito fogger for more than an hour at a time, but that shouldn’t be a big inconvenience because the fuel tank is strategically located, so that it is easy to refill it. The fogger is also light enough to be carried for extended periods of time and you shouldn’t have problems of maneuvering it, because it is designed so that it is perfect for beginners and professionals a like. Can be used outdoors as well as indoors, meaning that you can fog outside areas as well as indoors spaces with this fogger. The fuel tank is only 0.2 gallons which means that you will have to stop fogging and refill it after about a hour of fogging. Then of course there is the Mister III or Mister 3 thermal fogger also from Curtis Dyna-Fog, which will be great for anyone who prefers working with water based insecticides, pesticides and other similar liquids, because this forger is specially made for these kinds of formulations. This particular fogger will be great for those who need to fog really large and open areas with solution that is light and doesn’t leave a trace, because that’s what this fogger in conjunction to any water based fogging solution will do. From fungicides to germicides and disinfectants, use this fogger and you won’t remember why you needed to fog the area in the first place. And even though outdoors places will be more suitable for this heavy duty fogger, you can use it also in places like warehouses, greenhouses and such to help rid them of whatever problem has presented itself there. One thing that is different to this fogger than the other ones on this list, is that the 3 gallon formulation tank, although it can hold a lot of liquid, is made out of durable plastic, which can limit your fogging solution choice to those that aren’t highly corrosive. But since these types of solutions usually are oil based, that shouldn’t be much of a problem with this fogger. The fogger will output any water based solution in a rate up to 12 gallons per hour and with the 0.5 gallon fuel tank and up to 0.6 gallon an hour fuel consumption you will be able to fog your area in very short time, but if you do need to refill the fuel of formulation tank, that will also be easy to do. 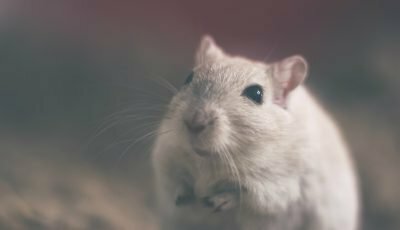 The particle size can be regulated from as little as 0.5 to 50 microns allowing to tailor the fog that the fogger dispenses to the area where it is used. The fuel tank of this fogger is made of plastic, so it might not be able to handle highly corrosive liquids. And lastly the most expensive and the biggest among all these foggers is this BlackHawk commercial mosquito fogger that is equipped with a large fuel and formulation tanks and plenty of power to disperse large amounts of fog that will kill any insect, pest, germ or smell without you having to spend a ton of time doing it. Speaking of fogging this fogger once turned on will output up to 18 gallons of whatever solution you poured into it in an hour, which makes it not only extremely powerful, but also very efficient. Unfortunately, you will be only able to use oil based fogging solutions with this fogger which might prove to be an inconvenience for most, however that still allows you to use the fogger with everything from insecticides to disinfectants as long as they are oil based. Another thing that might be a bit of a downturn for some is that the 3 gallon solution tank where you pour in the fogging solution is made out of plastic which forbids you to use any highly corrosive liquids in this fogger. But the plastic also makes the fogger unit lighter so it is not all bad. And the fuel tank can hold up to 0.5 gallons of fuel with consumption rate up to 0.6 gallons in an hour, letting you fog non-stop for at least an hour before you have to pour more fuel into the fogger. Can be used in most places from gardens and parks to warehouses and greenhouses. The fogger is contracted to be used only with oil based solutions meaning that you have to check that the solution you are intending to use is in fact oil based before you pour it in the fogger. A commercial mosquito fogger is your best bet if you want a fogger that will let you fog a large area outdoors like a park, backyard or a field or indoors like a warehouse, greenhouse or large office space, because these foggers are able to emit a large amount of powerful, insecticide, pesticide, disinfectant, germicide or any other solution lased fog in short period of time, letting you get rid of your problems quickly. 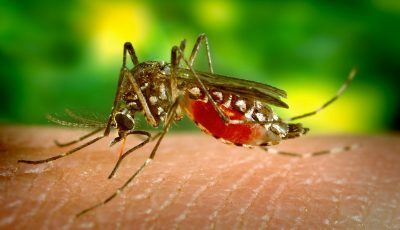 And if you have decided to buy a commercial mosquito fogger but don’t know which one is best for you, check out this list of the best ones right now on the market, and hopefully we will be able to make your decision a little easier.